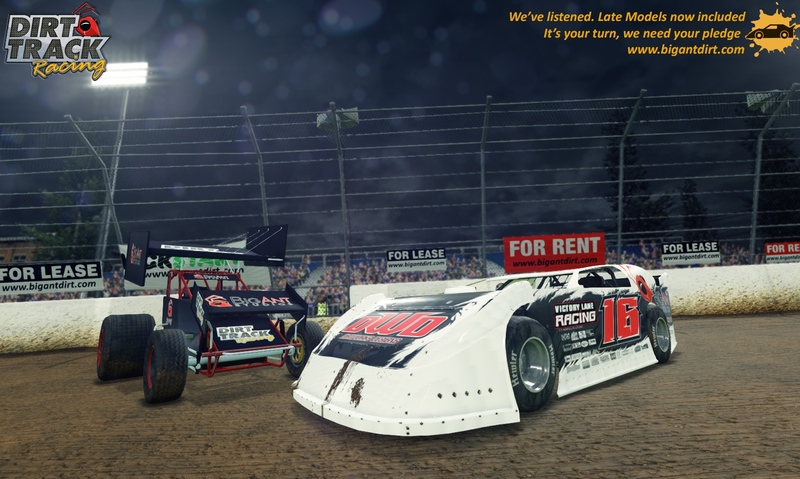 We’re excited to announce that we have increased our internal investment into the game to include late model chassis, divisions and racing in the base package of the game. 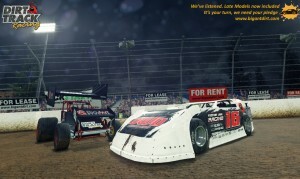 Check out this in-game screenshot we took of the DirtWorksDesigns late model posed next to our stand-in sprint car. Will modifieds be added? I am from Iowa and around here modifieds are MUCH more popular than sprint cars and late models. I also work on the 2015 IMCA National points winning modified, so I would be more than happy to help design them! I think that in time many things can be added considering how much they wish to support the mod community. The problem right now is just making the goal so that the greater mod community can even have an opportunity to support the game. 1) get the game out. 2) get online multiplayer support (up to 30 cars) out. All of the other classes are icing on the cake and thinks that can be added as value-added content over time to increase the playability and fun-factor of the game and keep selling points high for the game, to make the game have more longevity in the marketplace. But we can’t do that without #1 happening. #2 I think is intrinsic to ANY racing game’s long-term success as racing against AI cars only goes so far. Awesome I’m so excited I’ve been waiting for this for years! I personally have the Xbox one and I will for sure be one of the first to buy it. Is there any set date for the game to be released? Being I have the ps4 , I am glad that we’re are getting a real racing game. Would be nice to see some of the smaller ( not so well known ) tracks , I have a list of several of them that I would love to see in the game . I feel it would be nice to race on some of these tracks that we see on Saturday nights . Hope this still gets off the ground ! Need to have strong multiplayer , would love to see this setup like a Dirt Track Iracing !! Iracing has circuit racing covered but Big Ant can take the dirt ! is there any news on a release date or to open the kickstarter back up ?? No news yet, we are working on an alternate solution to trying to fund the game. The Kickstarter will not be re-opened, the campaign underperformed from the start. USRA a and b mod’s should be in the game as well. And fully adjustable rear suspension and the rear end adjustments. Plus garage or shop scales to scale the car.